Roue de fortune chez vous is a new lottery game brought forward by Quebec lotteries. The ticket of this lotto cost CA$3. 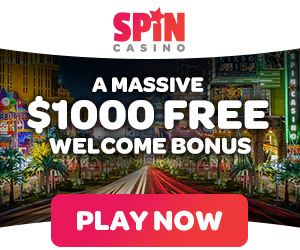 Launched in March 2018 this lotto offers a grand prize and you are given a a certificate attesting the right to spin the wheel and to win an amount varying from $25,000 to $1,000,000 during an event that may be broadcast on TV. How to play Roue de fortune chez vous? Roue de fortune is an easy lotto game. An easy yet exciting game! Anick Dumontet has hosted the Roue de fortune chez vous! televised game since 2009. Roue de fortune chez vous! goes to the four corners of Québec so participants can spin the wheel for a chance to win up to one million dollars. So in JEU 1 (game 1): Scratch the game entirely. Uncover 3 identical prizes and win that prize. In JEU 2 (game 2): Scratch the game entirely. Uncover 3 identical prizes and win that prize OR uncover 3 ” star” symbols and win a “MYSTÈRE” (mystery) prize. In JEU 3 (game 3) and JEU 4 (game 4): Scratch each game entirely. In a same game, uncover 3 identical symbols and win the corresponding prize as indicated in the “LÉGENDE JEUX 3 ET 4” (games 3 and 4 legend). NOTE: If both symbols in the “√” box are found in the game area, validate your ticket at a retailer. Note that if players uncover 3 « star » in GAME 2, they automatically win one of the following prizes: $10, $20, $100, $750, $1,000, or a spot to play on TV and perhaps take home $1 million! You must have your ticket validated by a retailer to find out which prize you have win. An animation on the consumer screen reveals your mystery prize! So the winner of a “DRAW” prize who will present his ticket within the time period indicated on the back of the ticket will be allowed to participate in the next draw of a “PARTICIPATION TÉLÉ” prize. To this end, he will receive a check for $100 and a certificate of eligibility to a draw. Daily draw results are usually posted on Loto-Québec’s web site at approximately midnight. How to win the prizes in case you win? In case you have won the prize first sign the back side of your lotto ticket. If you have to claim prizes of $25,000 or more you may do so by appointment. Contact at toll free 1 866 611-LOTO (5686) and get useful information before remitting the prize. For prizes of $600 or less you can get the wins at loto Quebec retailer. Or at one of Lotto Quebec’s offices. Also you can present the original winning ticket at one of their gaming establishments. Present the original winning ticket, with the back duly completed. Present a valid piece of ID (driver’s licence, health insurance card or passport). Also present a duly completed claim form [PDF – 92 KB] to claim your wins. Roue De Fortune Éclair is governed by the by law respecting forecast contests and numbers game published in the GAZETTE OFFICIELLE DU QUÉBEC, which includes limitations of liability. A Roue de fortune Éclair play is a Quick Play (spinning wheel) to win a TV participation in the Roue de fortune chez vous! televised show. Each play costs $3. You may buy a lottery ticket through an entirely online transaction. A purchase transaction is only concluded when it results in the registration of one play in Loto-Québec’s central computer system. During the Quick Play animation, a wheel divided into segments is displayed on the screen and starts to spin. A white ball bounces from one segment to another one before stopping on one of the segments. If the ball stops on a segment associated with a prize, you win that prize. The amount of the prize, if any, will be displayed at the top of the screen. ← How to buy Lotto 649 lottery ticket in Canada? What is Extra and which Canadian lotteries have Extras to play? October 25, 2018 Kamal Kaur Comments Off on What is Extra and which Canadian lotteries have Extras to play?